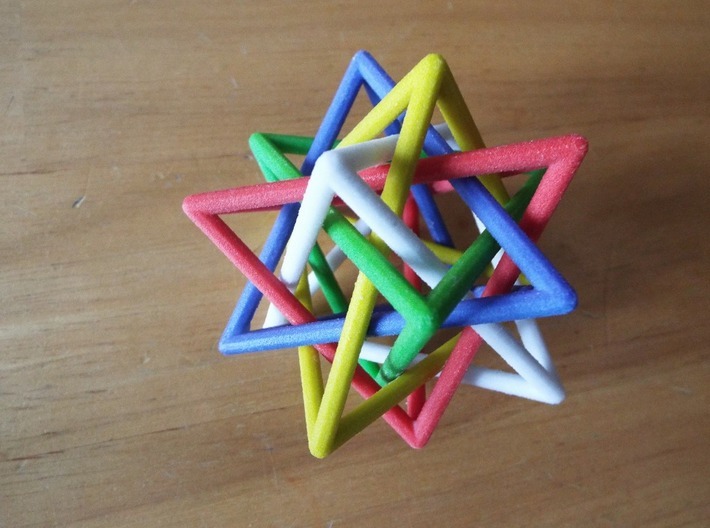 Five interlaced tetrahedras are locked together like a complex 3D celtic knot. The five tetrahedras are loose and move independently of each other. 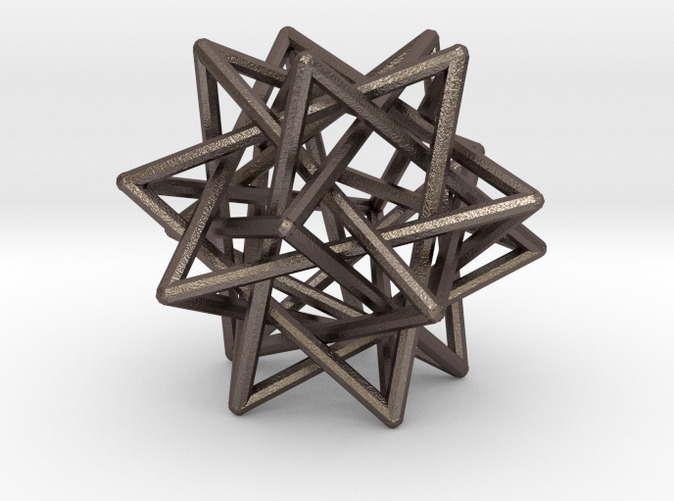 Modelled in Open Simulator and exported out to Shapeways. Now available in metals, including 14k Gold and Platinum.